Armed robbery suspects arrested - KUAM.com-KUAM News: On Air. Online. On Demand. Dennis Castro Aldan and Victor Aldan Deleon Guerrero are charged with Robbery; Theft of Property; Guilt Established by Complicity; Terrorizing; Use of a Deadly Weapon in a Commission of a Felony; Conspiracy and Criminal Facilitation. 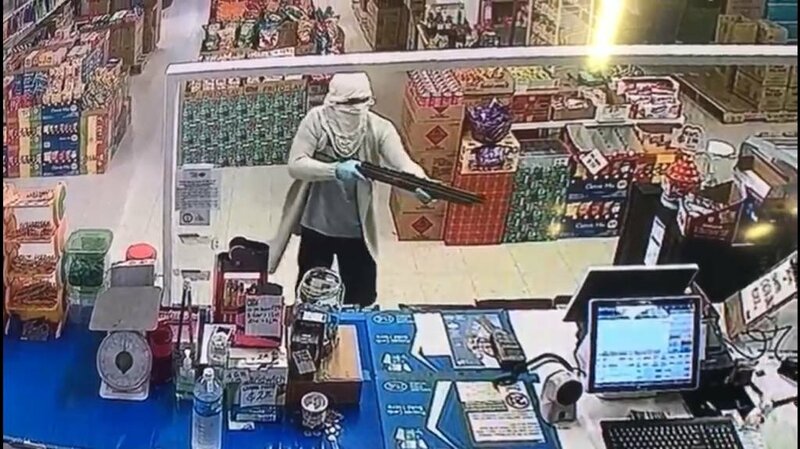 On Friday, police obtained video surveillance of the robberies reported at Loco Mart in Dededo and Papa John’s Pizza in Mangilao. Investigators were able to get information on one of the suspect’s vehicles. On Sunday, officers from Dededo Precinct spotted that suspect and pulled him over. During the course of the investigation, detectives obtained information on the second suspect. SWAT officers carried out a search warrant at a home in Dededo where they located the other suspect, along with evidence in the case. Both were taken into custody. The case has been forwarded to the Office of the Attorney General for prosecution.